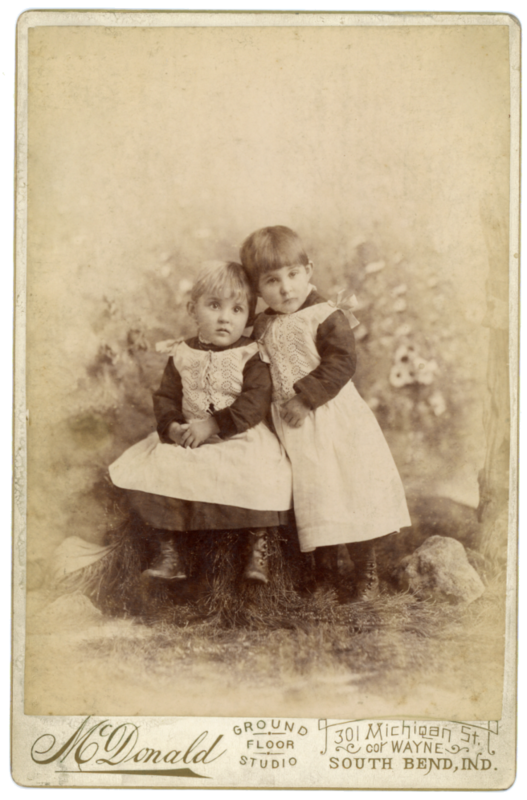 Two little sisters in pinafores and bows. 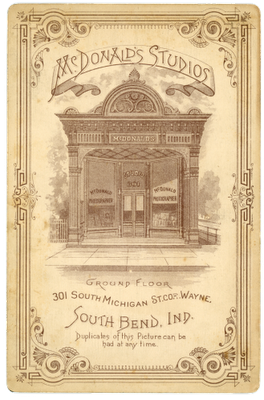 McDonald had a showing at The Exhibition Of Photographs at The Chicago Convention. 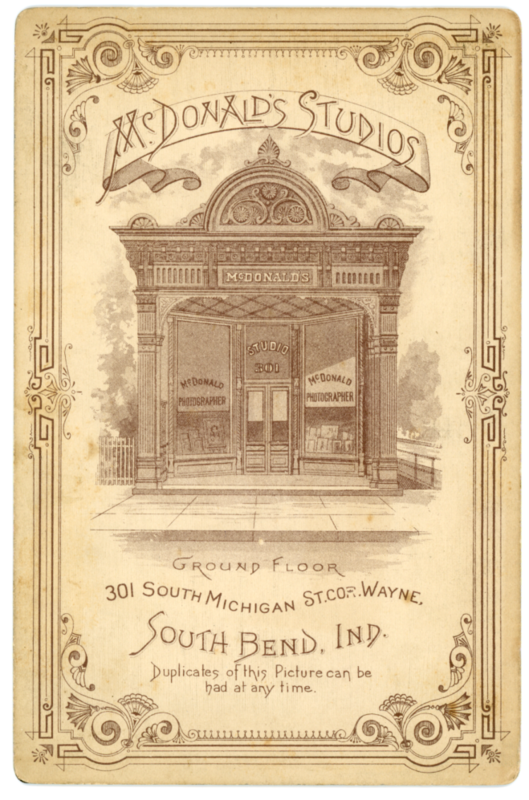 In 1887, The Photographic Times commented on his work; "McDonald of South Bend, Ind. 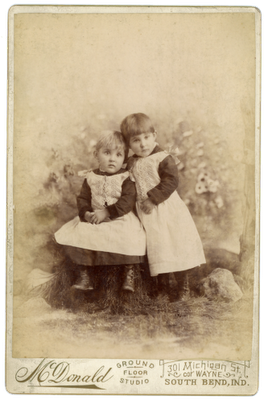 showed some very good cabinet work, which was neatly and effectively mounted on 6 1/2 X 8 1/2 maroon cards, thus giving a liberal margin that neatly set off the picture."